Around 400 canada and greylag geese are landing on a stubble field in Bedfordshire. The farmer wants them moved on, so he calls on Paul Childerley and Jason Doyle. Usually deer experts, they turn their hands to gooseshooting – and approach it with careful planning and man power. 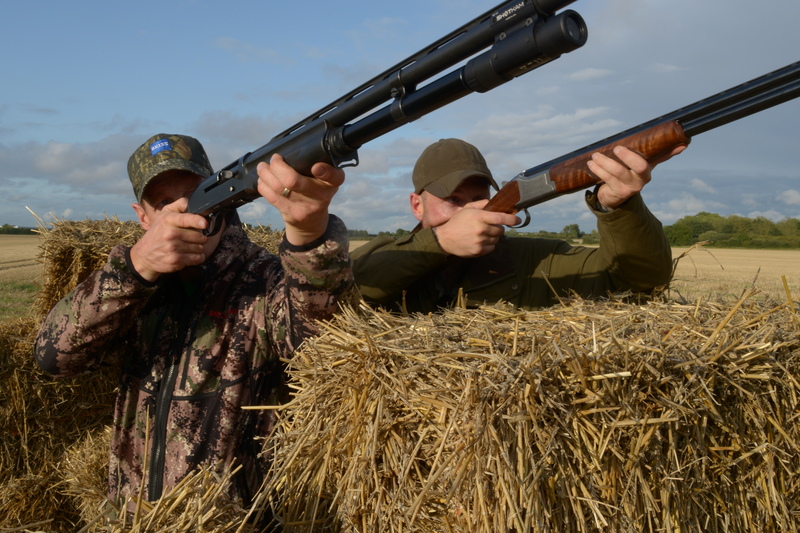 It is a new pairing this week: Fieldsports Channel’s Paul Childerley is joined by the Shooting Show’s Jason Doyle. These two are both normally seen out deerstalking with clients. It is unusual for the channel to showcase someone from a direct ‘competitor’ but it is a good chance to show that people inside the industry can work together, whether that is in media or out in the field. Plus, it has the potential to bring a new audience to both channels. Not only is Jason celebrating his first-time goose hunting, but by the time this piece goes live on YouTube it will be his birthday – Happy Birthday Jason. Paul is sponsored by Shooterking and Pulsar. Jason usually appears on The Shooting Show www.youtube.com/theshootingshow or email him jason@jdsporting.net.